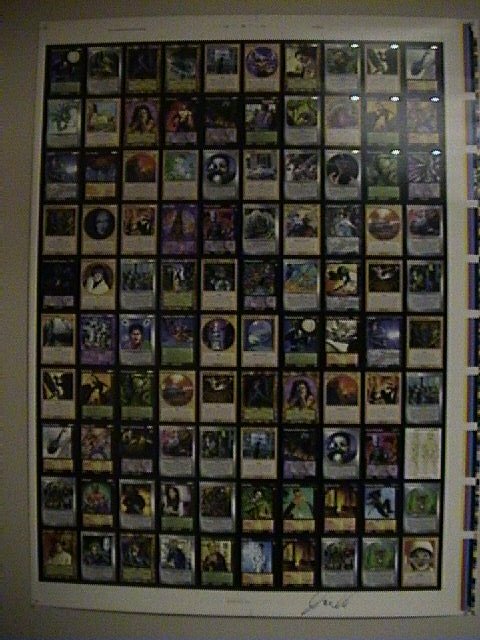 One thing interesting to note is that the uncommons and rares appear on the same sheet. This means, as printed, that there were twice as many Arcanotower 2056s (or any other rare site) as Destroyers (or any other single uncommon). But part of the packaging process involved removing the vast bulk of the rares from normal distribution. I can only guess that huge numbers of the rares were destroyed to artificially create Flashpoint's lame rarity scheme. I have absolutely no idea why this was done. It seems like it would have been vastly simpler to just leave them as uncommons. And this would have made everyone far happier as well.